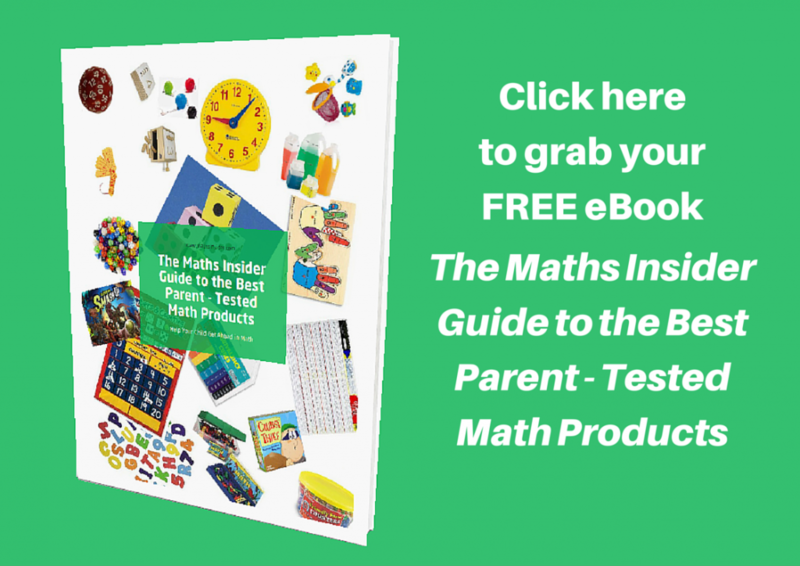 Read posts in this category for tips and advice to help to improve your child’s mental maths speed and accuracy. 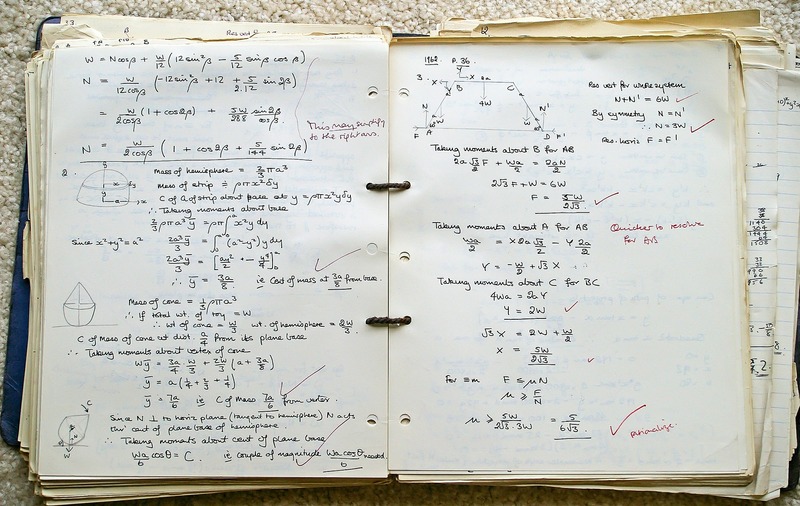 I’ve invited Mark Maclaine, a London based super tutor specialising in maths, science and school admissions, to share his best maths exam revision tips for panic-free exams. 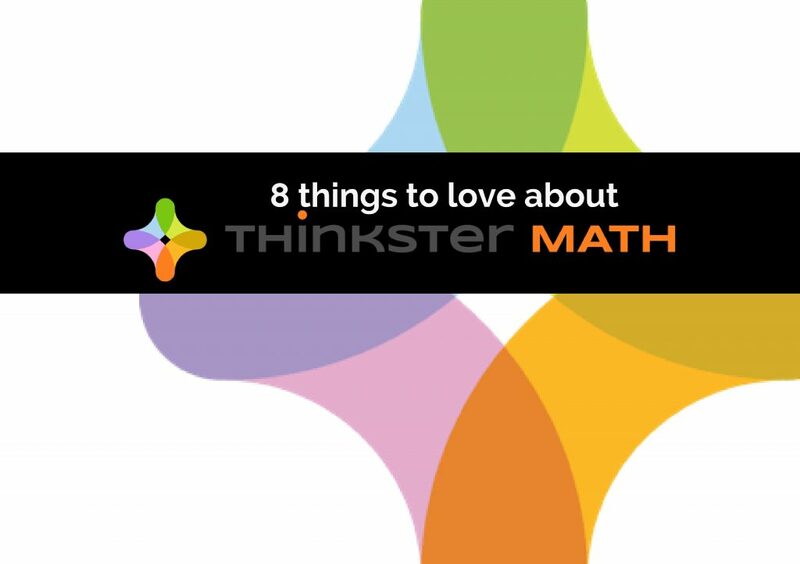 To really get to grips with your maths exam revision, you’ll need to use techniques that actively help you engage with the topics. Reading through notes and copying out questions will only get you so far, so for the times when you want to try changing up your revision plan, these are my 5 best maths exam revision tips. Working through past papers is the best way to get an understanding of the exam format and different types of questions that will come up. Remember that it’s vital you practise past papers under timed conditions! You won’t have unlimited time in the exam, so timing yourself will help you get to know what you’re capable of getting done in the exam. As you get used to the question formats, you’ll get more comfortable with the questions and quicker at knowing how to approach them. Ensure you review the papers with a mark scheme and take the time to understand why your answer might be wrong instead of marking your work without looking over it properly. It might be frustrating initially, but you can’t always memorise your way to success with maths, so ensuring you have a thorough understanding is key. If the mark scheme provides more than one method for solving a question then ensure that you look over other ways you could have approached it. This can be a useful way to deepen your knowledge and challenge yourself to grow. You should also always remember that there’s no shame in getting things wrong – in fact, making mistakes is one of the best ways to learn. Whilst it’s easy to put off the more challenging questions, it’s important that you focus on getting better in these areas as soon as possible. Doing past papers helps to identify questions that need some more work so you can prioritise these. After all, practise makes perfect. Two heads are better than one, and two people working together have a better chance of solving something than you on your own. Whilst you don’t need to limit yourself to working with one other person, make sure that you keep your group relatively small to help you stay on track with work. Chances are the people in your group will each have different things that they’re good at, so there’ll be plenty that they can help you with, and equally a lot that you can help them with. One of the most powerful learning methods is actually teaching. Taking turns to explain concepts to one another will encourage you to solidify your knowledge and will very quickly expose areas you might need to work on. The more fun you make this the easier it will be to do! Try to challenge each other to find faster and more efficient methods if you can. If you can’t set up a study group, the next best way of reinforcing what you’ve learnt is by explaining questions to yourself. As with any skill, it takes time to get comfortable new concepts. Writing down the steps you have to take to answer a question will simplify the process for you, as well as help to make it stick in your memory. Order your instructions into a list or flowchart that you can refer to time and time again. 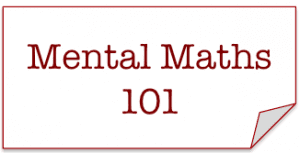 To avoid confusion when you come back to your instructions, make sure you explain it in as much detail as possible. Imagine that you’re explaining the process to someone else who has no knowledge in the area. This will help you when you revisit your revision and need some direction of where to start. Flashcards are useful for more concise snippets of information. Use flashcards to refresh your memory on the topics you cover by writing a prompt or question on one side and the answer on the other. When you have your flashcards ready, go through them and keep track of the ones you get right and wrong. Make sure you put the ones you get wrong to the back of the pile so that you can review them and ensure that doesn’t happen in the exam. You could also experiment with putting them up around the house and answering them each time you see a card. Eventually, you will have seen the question enough to know exactly how to handle it. You should also use your flashcards to help compile a last minute cheat sheet. A cheat sheet is essentially a flash card with all of the things you’ll want to look over right before your exam. Use your flashcards to compile the ultimate card with all of this information on, from formulae to technical vocab – anything you might need fresh in your memory for the exam. 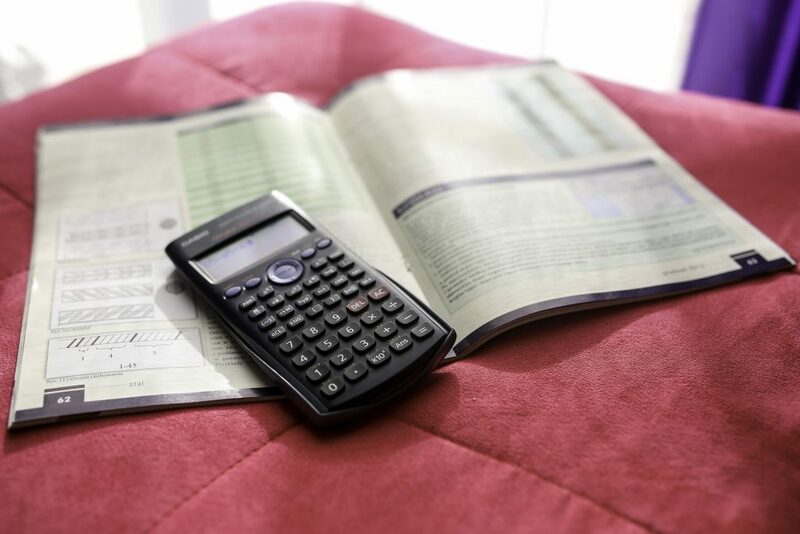 Whilst maths is mainly about understanding topics and applying this knowledge to questions, there are a few things that you can memorise to help you out in the exam. Make flashcards for circle theorems and SOHCAHTOA equations. Looking over these regularly will help ingrain them in your memory and ensure you don’t miss out on easy marks. Inputting numbers into a memorised formula is another one of the simplest way to boost your marks, so make sure you take the time to learn your formulae! To help remember these, try writing them over and over until they stick or put them up around your house. If you’re still struggling with your maths revision, seek out extra help. Whether it be from a parent, teacher, or tutor, someone else might be able to explain an area you’re struggling with in a way that it suddenly clicks for you. 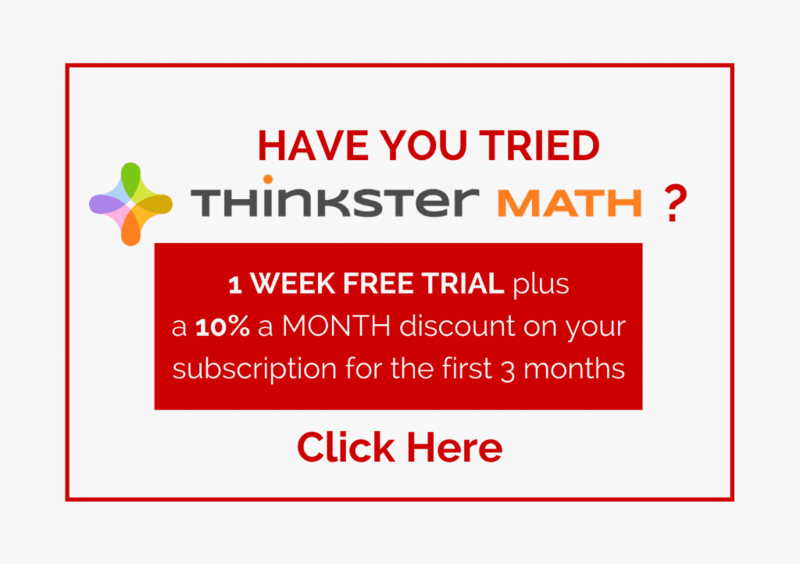 In need of a maths tutor in the UK? Look no further. Tutorfair is a website that allows you to find and book private tutors for face-to-face tuition. For every student who pays, Tutorfair give free tutoring to a child who can’t. With hundreds of verified tutors who specialise in Dyslexia, 11+, GCSEs, A-levels and degree level subjects, why not get in touch for some help with your maths? Mark Maclaine is a London based super tutor specialising in maths, science and school admissions, and co-founder of Tutorfair. Tutorfair is a website where parents and students can find and book local tutors or online tuition. So to start off, I’d just like to say that I obviously…I really like maths, I love sciences, I like geography, history I like most of the subjects, but one of the subjects that I don’t feel completely confident in supporting my kids in is English or Language Arts. I kind of like reading sometimes, I don’t like fiction, most of what I read is nonfiction and the whole kind of grammar and constructing sentences is just not my kind of thing. I obviously like to write a bit, hopefully if you’ve looked on Maths Insider you’ll see that, but I can feel you when you say that you feel as you’re not a maths person, I feel as though I’m not like a languages kind of person, and to make things more interesting, I am actually home schooling my 9 year old, so I need to support his English learning, his writing and his grammar. 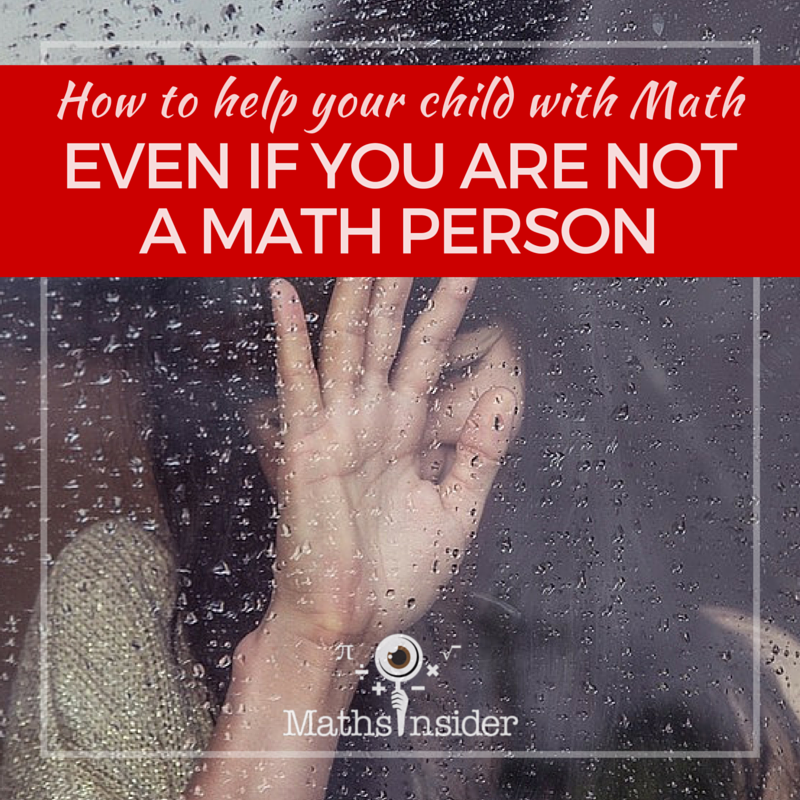 This is my advice based on my knowledge of maths and my experience as a home schooling mother who has to support her children’s English learning. No. 1 is to do lots of research, Maths Insider obviously, is a good place to start, I’ve got lots of articles about how to help your child with maths, but also look in other places, there are some good Facebook groups you can have a look at, or school support Facebook groups and also some home school groups. 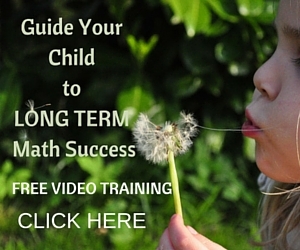 There’s lots of information in home school groups about how to help your child with maths. Often you can get drawn into a political discussions about, is Common Core good or is this method bad, but it’s best to just research, just have a look at the different kinds of ideas. 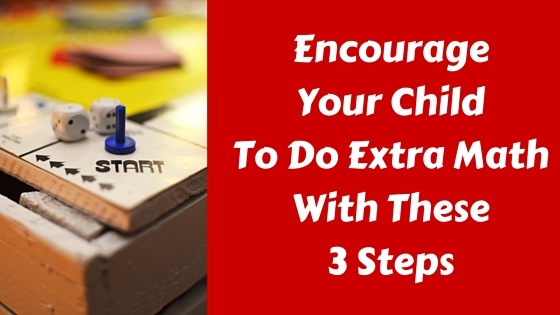 My 2nd tip is to pick resources that suit you and your child, because you’ve got your different strengths and weaknesses, your child has different strengths and weaknesses and preferences, so if your child has been at school all day, where they are likely to have done lots of writing, and they come home, don’t let them do lots and lots of worksheets. Maybe pick something that’s an app or a printable board game or just some oral questions. So try to tune any resources that you use, try to tune into what resources will work for you and your child. No. 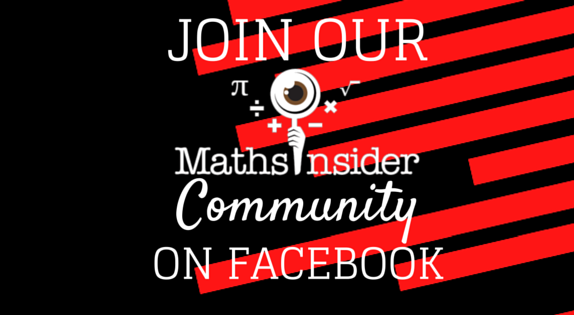 1 is to research, look at Maths Insider, look on Facebook groups (the Maths Insider Community FB Group would be a great place to start!) and another good tip for researching, I forget to say this earlier on, is actually go to the book store, get a workbook and maybe have a look at the book for younger than your child’s grade level for your child’s grade level and have a look in the contents page because then you’d likely find a list of the topics. So flip through the books and you’ll be able to see, “Oh yes, my child does know this, this, this and this, but maybe this they don’t know.” So that’s a good way of trying to figure out exactly what kind of topics you are going to need to support your child in. 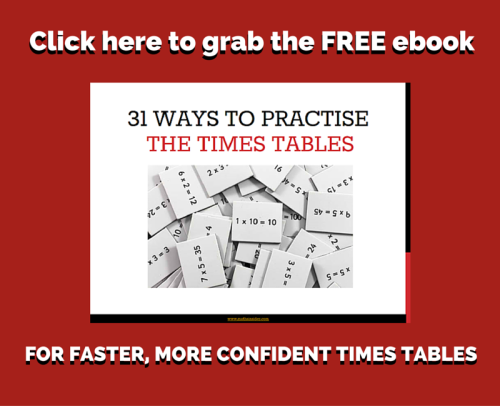 The Complete Guide to Faster Times Tables in Just 31 days. 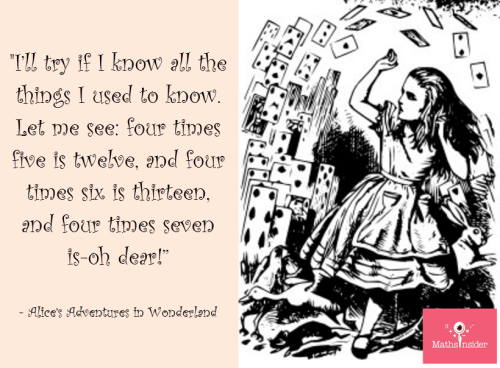 If, like Alice, your child is struggling with remembering their times tables, you’re not alone! 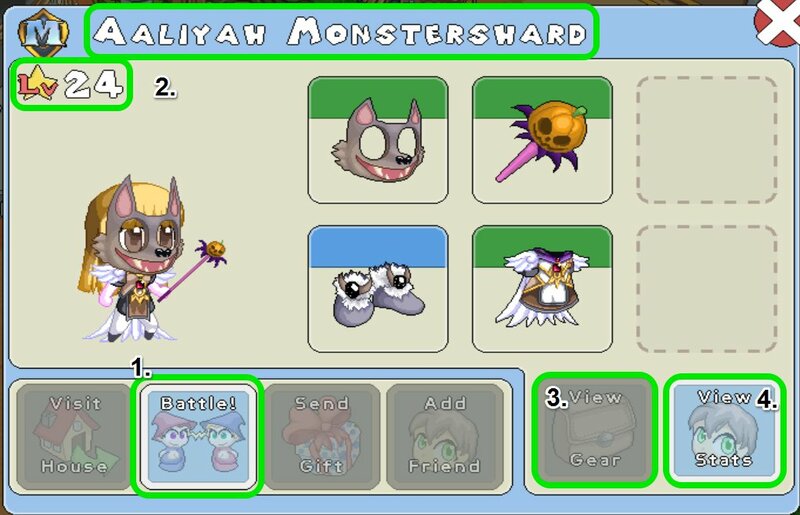 The resources you need and where to get them. Why is learning the times tables so important anyway? So, why is learning the times tables important? Why can’t your child just get by? Well, High School math is filled with questions that require the use of times tables. 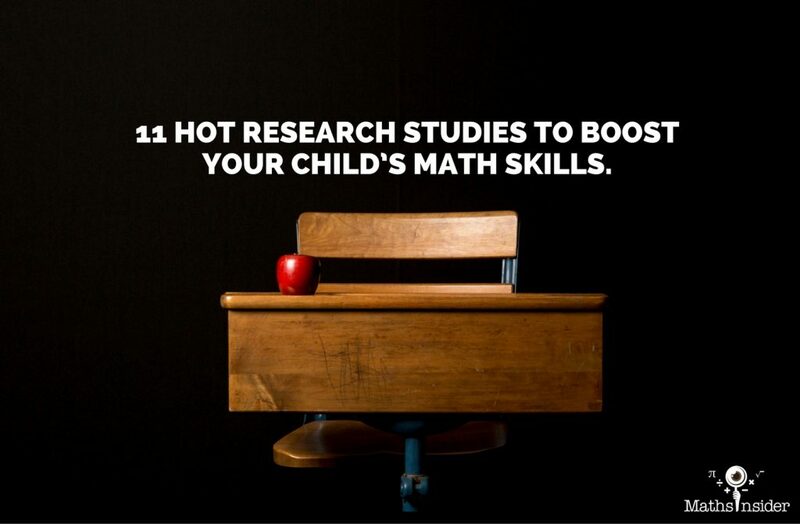 Algebra is a lot easier if your child isn’t constantly reaching for their calculator. Trying to figure out if that price really is a good deal in the sale. All these require a good level of comfort with the multiplication facts. In a BBC survey only 40% of the adults surveyed could give the correct answer to 8 x 9 but among the over-55’s in the survey, the number of correct answer rose to more than 60% so numeracy skills are definitely declining. In a survey of California, Algebra 1 teachers, they reported that 30% of their students do not know their times tables. So actually if your child can learn their times tables it’ll not only help them be more confident with math, it’ll put them ahead of the general population! So what age should the children start to learn the times tables? In this age of competitive parenting where we race to toilet train our kids soon after birth, this is a valid question. Well, there are some five year olds that know their times tables, maybe even you were this young when you learned yours, but six or seven years old is a good time to start learning the times tables, even if it’s starting with skip counting by 2’s, 5’s and 10’s. However, even teens who are still shaky on their times tables still have time to straighten out those multiplication facts. It’s certainly not too late. and if they’re not, then this needs to be sorted first. 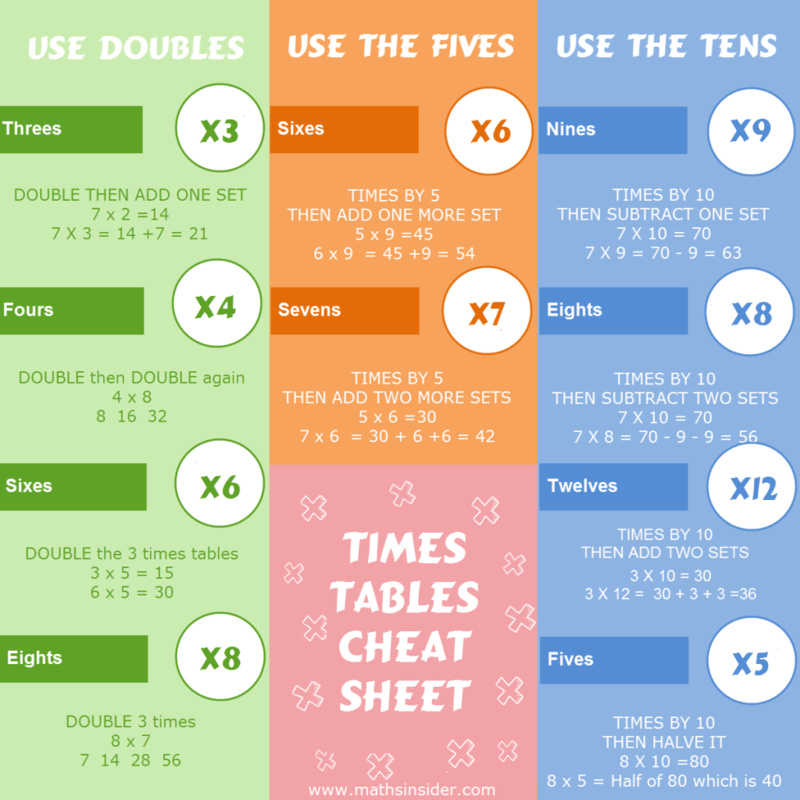 Fluent addition and subtraction skills will make the whole learning-the-times-tables process much easier, since not only are times tables just repeated addition, but some times tables shortcuts depend on addition and subtraction. If you ignore this piece of advice then the whole learning in the times tables process is not necessarily doomed to failure, but it’s just going to be a more difficult. So if at all possible – sort out the addition and subtraction first. 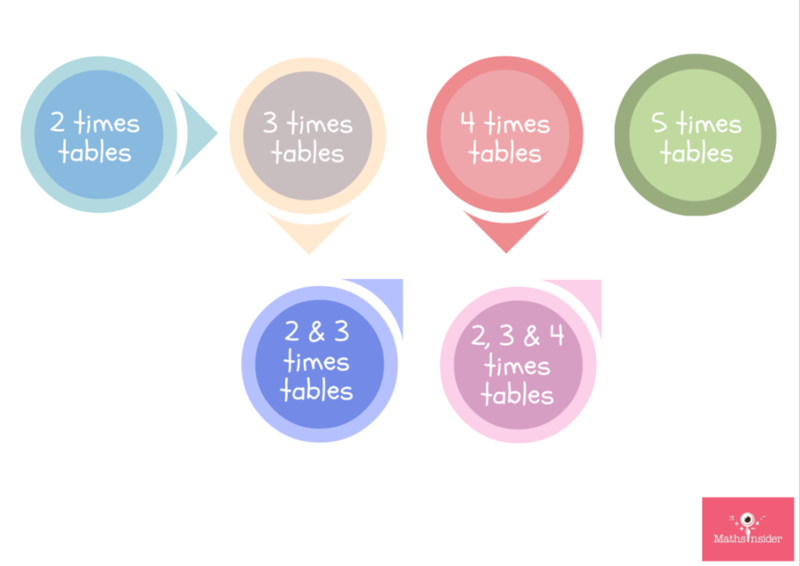 So how long will it takes for your child to learn their times tables? Well, if they are working on it daily – only about 10 minutes a day – then it’s only going to take them a month or so. Can you find 10 minutes a day? How to get to started? Well, the first thing, the really important thing, is to plan in advance what time of day your child will be working on their times tables. 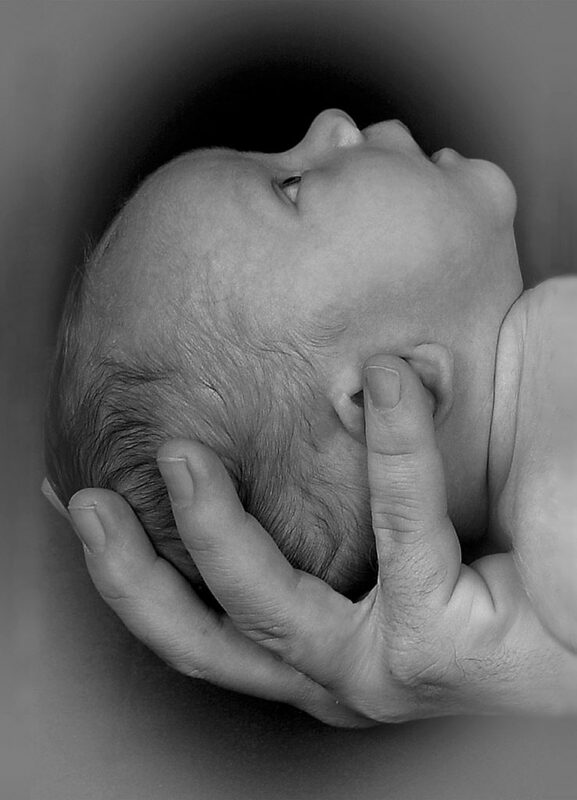 Choose a time when both you and your child are free. 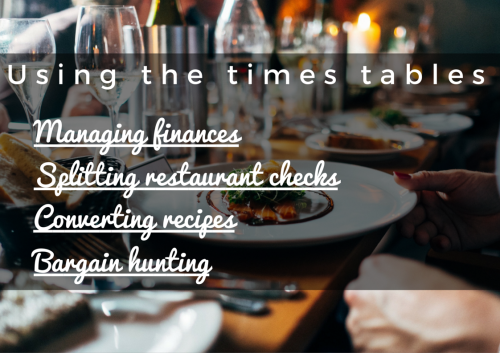 You might not be doing anything more reminding your child to practice their times tables, but still it’s important to set aside this “reminder” time. A great time to get on with this type of practice is first thing in the morning after breakfast, before school. If you walk or drive your child to school, this is another good time to review. After school as a warm up to school homework also works well, but whichever time you pick, pick that time and let that be the “times tables time”. So, what is it you actually need to do? What system do you need to use? Well , let me tell you what I usually do with my students. I start at the beginning. I start with the two tables. 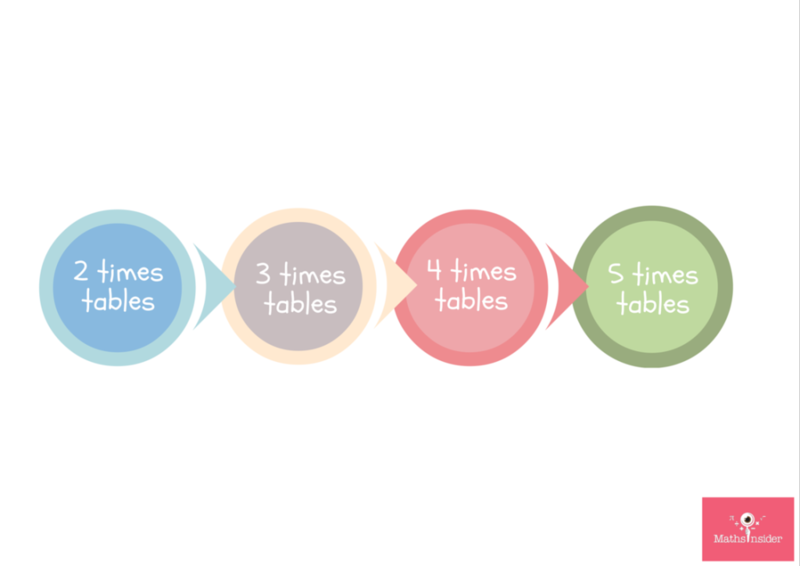 Now maybe you’ve got an older learner, so you might be tempted to start with the six times tables because they are fine on the 2’s 3’s, 4’s and 5 times tables, but my advice is just start with the two times tables. Let them whizz through the easy tables, and then they can spend more time concentrating on the higher tables with their renewed confidence. If you really want to rush the process, you can start AT THE LAST TIMES TABLES THAT THEY KNOW WELL. But my advice is just to start at the beginning. Now it would be great if your kid can do a 100 times tables questions each day – that is definitely worth aiming for. If they can do 100 questions in just five minutes then brilliant! They are fluent and fast in their times tables and they can move on. If they are doing 100, two times tables in five minutes then great, they should move on to the three times tables. 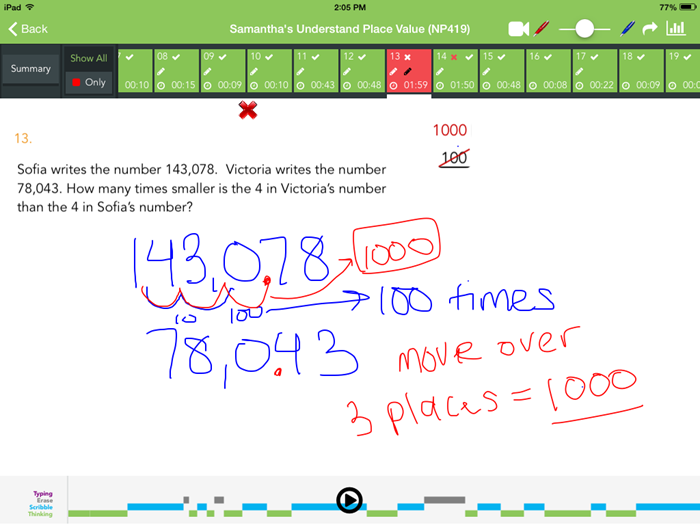 With the multiplication facts, we are aiming for them to actually answer each question in about three seconds, so if you’re using audio, or you are reading out questions to them use the rhythm of three seconds per question. If it’s taking them 10 minutes for 100 questions, that’s still fine. But you need to just check – are they taking 10 minutes because they’re staring out of the window or fiddling with their pencils, or are they actually taking 10 minutes to concentrate on each of the questions and answering the questions? If they’re hesitating on each question or using their fingers, it’s worth repeating these early tables to get them to lose the habits that could be hijacking their chances of success. I would advise that they probably need about 3 to 4 days for each of the times tables. So if they take them 10 minutes the first time, let them repeat that particular times tables, for a 2nd, 3rd or maybe even a 4th day to see if you can get their timing to closer to five minutes. If after 4 days on that set of times tables facts, they’re still taking 10 minutes that’s fine – let them move on. If they’re taking 15 minutes or more, then step back to the previous times table (or to the last times table that they were fluent in) to help them build up their speed, then go back up to the problematic set. I hear you on this! My 2 older kids ploughed their way through times tables worksheets and learnt them that way with no fun and games, but my younger 2 are worksheet-a-phobes! Everyone learns in different ways. I’m very much a be a visual learner and maybe your child is a hands on learner and your child’s times tables efforts will get better results if you can tailor their work to their learning style. 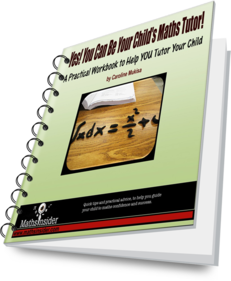 Worksheets are a great way to learn the times tables if your child takes to them, but after doing worksheets all day at school, the last thing your child may want to do is more worksheets! There are some children who do find worksheets terribly grown up, and you don’t necessarily need to avoid worksheets altogether. 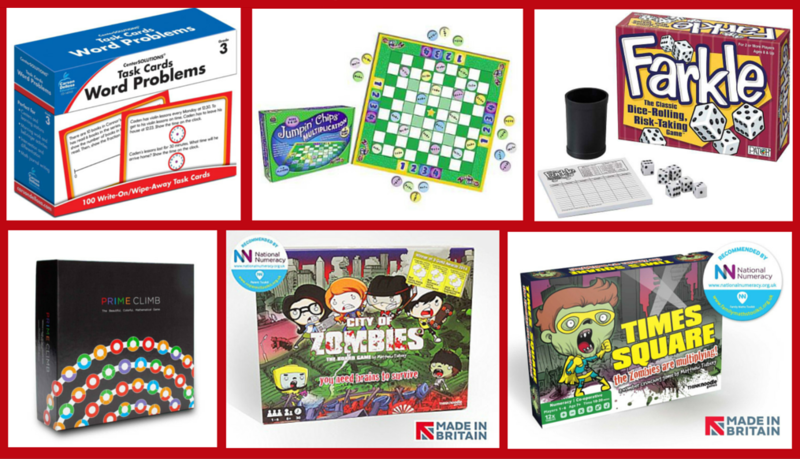 In my 31 Days to Faster Times Tables program, you’ll find printable games, audios, activity suggestions AS WELL AS worksheets to suit different learning styles. If your child responds well to visuals, you can get them to read out the questions themselves and then shout the answers and then YOU write down the answers (or just keep a running check on whether they’re getting the answers correct). Or you can read the questions to your child and and she writes down the answer. You can even print out copies of the worksheets and then have a race against your child – if they like a bit of competition! For auditory learners you can use audio instead of worksheets. There are audio CD’s that you can buy or if you look on YouTube you’ll find plenty of times tables raps, rhymes and songs. 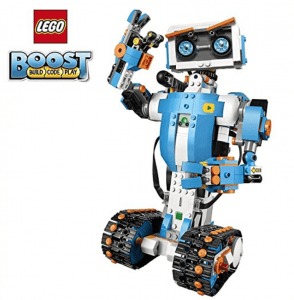 Your kids could even make their own times tables audio that they can listen to! Remember I told you that my youngest kids are worksheet-a-phobes? Well the one thing that’s really helped them with their times tables are times tables games. My kids love playing the printable games that I printed out and laminated. Some needed dice and counters but they seemed to love the ones that used those washable whiteboard pens! 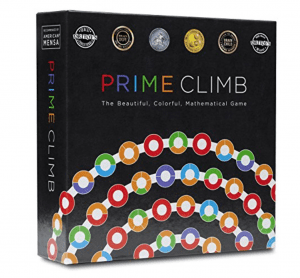 You could even make up your own games with just a pair of dice, a pack of playing cards, or a random number generator (Google will be able to help you out there!). 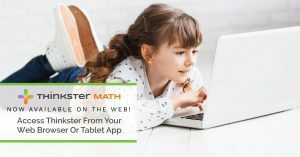 You can have your child play an online multiplication game or download a times tables app and give your child a smartphone or tablet to play on. Sentencing your child to 10 minutes a day on a smartphone won’t be such a bad thing on their eyes! So where can you find these resources? Well, bookstores are a good starting place. They’ll have plenty of workbooks, CD’s and also some pre-packaged games or flashcards as well. 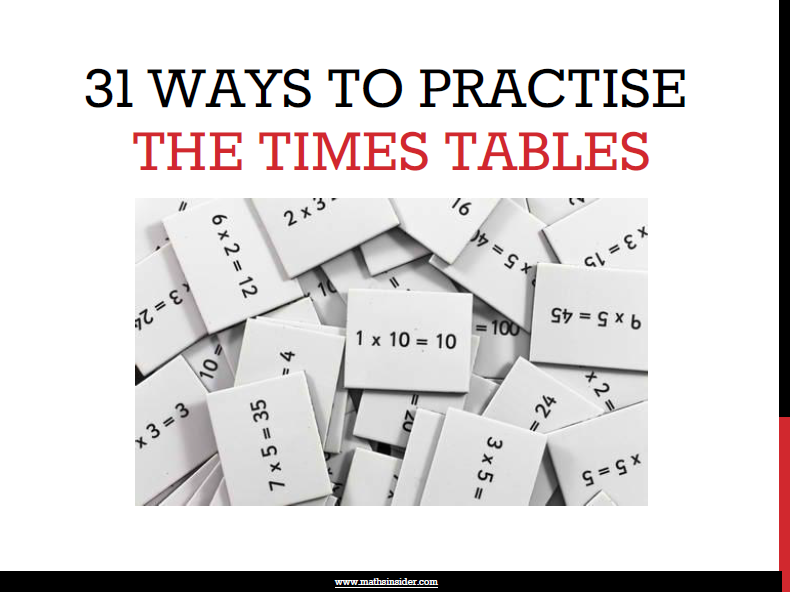 A YouTube search will give for times tables resources will yield a huge amount of results. When I looked up “times tables raps” there were over 300 YouTube videos for times tables raps and time tables songs, as well as instruction videos showing how the times tables work. Google is also a great resources, whether for buying times tables products or looking for free worksheets, you’ll get plenty of choices, but the difficulty is how to choose between all these resources. Start with 2 x 2, 2 x 3, 2 x 4 etc. then make sure the questions increase in difficulty gradually. Make sure the questions have some built in review, so for example if they learned the five times tables, once they finish practising those, then make sure to include some questions on the 2, 3 and 4 times tables before moving on to the 6 times tables. 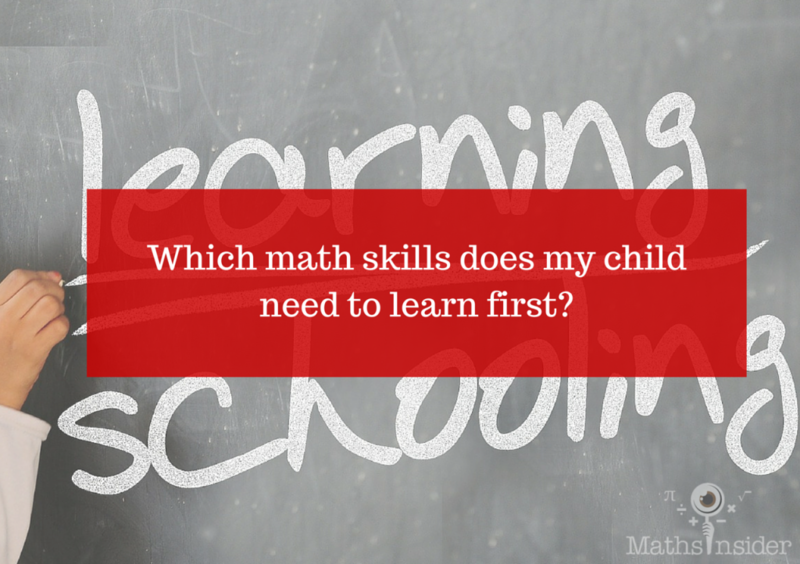 More importantly, choose a resource that fits with your child’s learning style. 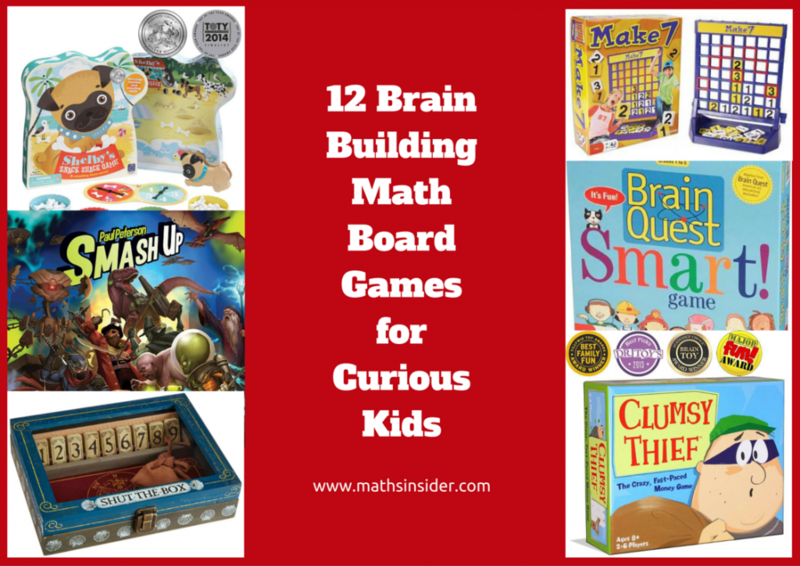 If your child is a hands-on learner, then you probably want to spend more time playing games. Worksheets are fine with these types of learners, but supplementing these by playing some hands-on games will help to fix the multiplication facts. If you want a way to get started immediately. 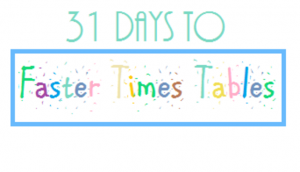 I’ve developed the 31 Days to Faster Times Tables program which contains all the worksheets (including built -in review), audio, printable games and activity ideas to guide your child to faster, more confident times tables in one month. You can find out more about the faster times tables program here. Now whether you’ve choose to use the DIY system that I’ve just laid out for you or whether you choose to go ahead and purchase the done-for-you 31 Days to Faster Times Tables program at www.fastertimestables.com it is really, REALLY important that you start to develop a plan, tomorrow or in the next couple of days, to really tackle those times tables with your child. Once you get started, it will only takes 10 minutes a day to help your child to faster more confident with times tables! 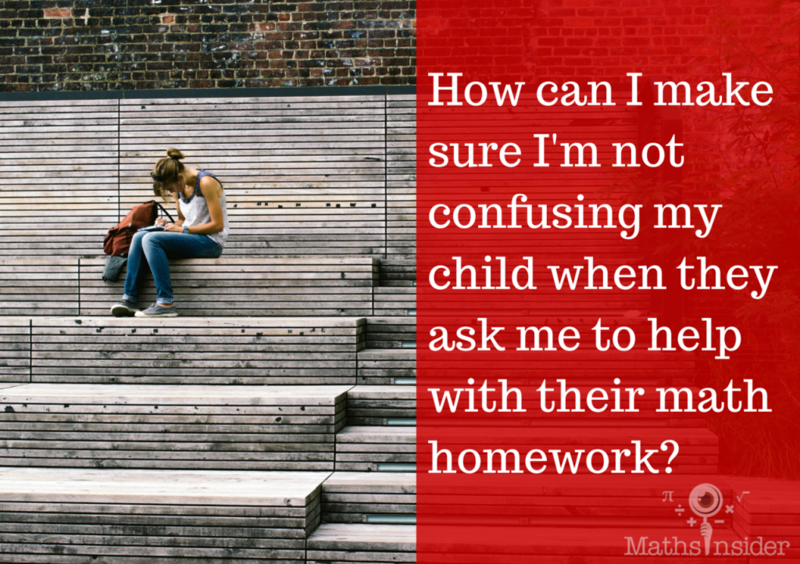 How can I make sure I'm not confusing my child when they ask me to help with their math homework? 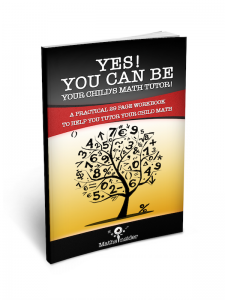 Find out how to rescue this frustrating situation and help your kids tackle their math homework without confusion with the 3 simple tips in the video below. The transcript of the video is also below. Click here to watch the video on You Tube complete with subtitles. So I’ve got three tips, No.1, have a look at the homework and ask them to explain to you what they actually do understand, and if that draws a blank and they give you that look like, “I actually don’t understand anything, I don’t get it at all,” then try to ask them an easier example to see if they’ve got any understanding at all of the topic. For example if they come home with 247 divided by 23 and they don’t understand it, ask them, ”Okay so, how about if it were 24 divided by 3? Well how about if it were 243 divided by 3?” Try an easy example and see if they can actually explain to you how they would get the answer with an easier example. No. 2, the next tip, because sometimes even that tip doesn’t work, is to actually Google it and not just Google “long division” but actually put “long division year 4 Australian curriculum” or “long division year 5 UK curriculum” or” long division grade 4 curriculum” and you’re going to get some very good results hopefully. Now you’ll probably get some websites, but also look at the video results because you might get some good YouTube videos and click on images as well because especially the images result might bring in some really good results from Pinterest which might be just some visual short cuts of what method to use, so that’s another good tip. And the last tip No. 3, which is kind of a last resort, but it might work, is to ask somebody. So ask on Facebook, because people like to be seen to be good at maths, and so if you just put a quick call out on Facebook to say “Hey, my child’s come home with long division and yea I know how to do long division, but it looks as if they’re using a division type of method and I don’t know what method they’re using” and you’ll likely get somebody, some people, who will respond and will know what current method is being used in schools. You can also look on forums as well or Facebook groups, but even amongst your Facebook friends you’ll likely to have somebody who may actually want to help out and say ,”Well, they’re doing this,” or “This is the method my child used last year.” So it’s always worth asking. So tip No. 1. Ask your child to explain to you what methods they’ve been taught and perhaps with an easier example than the actual example they’re stuck on. Also have a quick look at the homework and see if there’s a question they’ve managed to do and ask them to explain it to you.